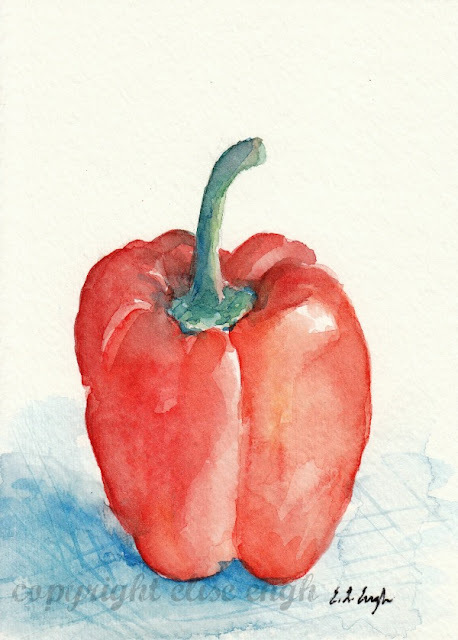 Fall produce is in full swing and I've been doing a little watercoloring. I haven't grown any of my own produce yet... maybe next year. So I've been stalking up at the grocery store. I painted even more pears, (ya I don't ever quite get tired of those). 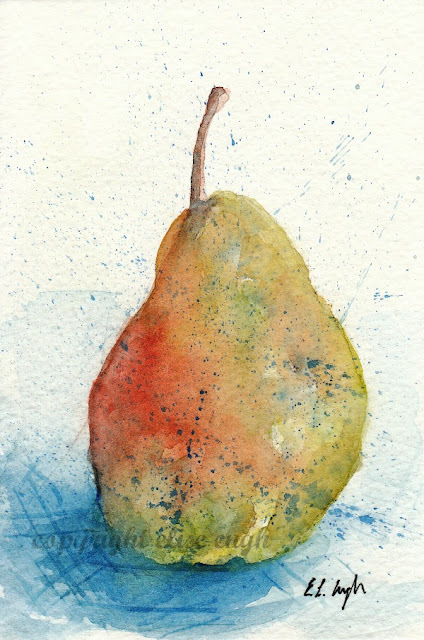 So sorry, you'll have to see more pear paintings. And then I ventured out with a bell pepper. That's a first! You are awesome at painting pears and I love that pepper too!! 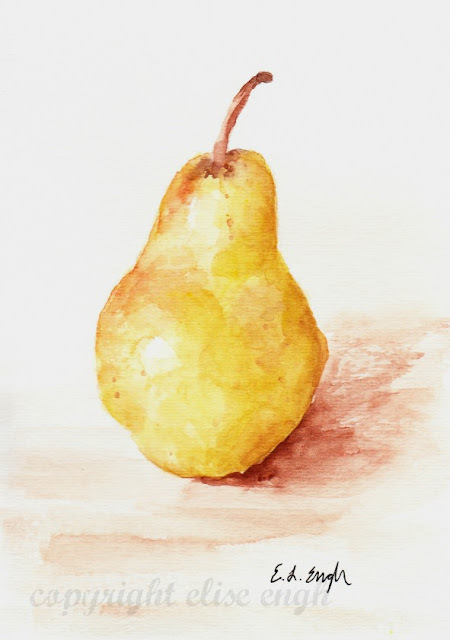 I love your watercolors, and I'll never tire of your pears. I think my favorite is the middle pear. Gorgeous. Hope you save all these. There's got to be something you can do with them, reproduce them in some format, like a print, or custom made fabric. You might want to check out You Bet Your Garden because Mike McGrath was talking about reseeding lawns today. Your watercolors are always the best!! it doesnt matter if u draw pears or peaches .... they all look soo beautiful! !